The emotional turmoil caused by parting with your spouse or civil partner can be nerve-wracking and heartbreaking. 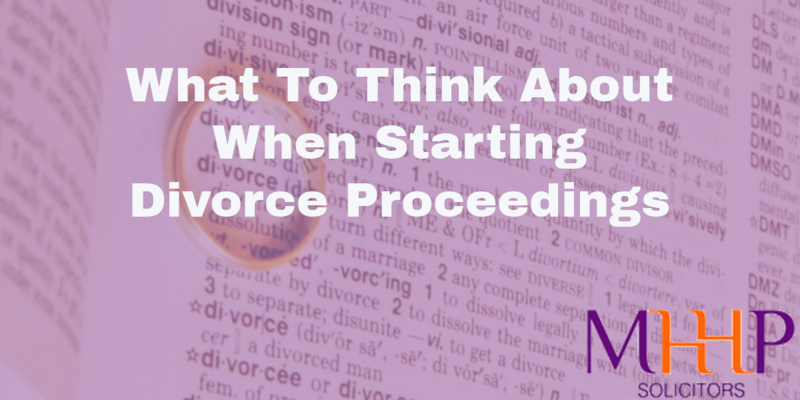 However, it is crucial that you find a way to leave all this aside and assess your situation as clearly as possible before you start divorce proceedings. In this short guide, I will tell you the most important things you need to consider before setting things in motion so that you are properly represented and protected. The most important aspect you should remember is that from a legal standpoint, divorce has nothing to do with your feelings. As such, you should direct all your efforts towards getting thoroughly prepared to deal with the legal implications. This will actually help you get through the separation rapidly and efficiently so that you can then focus on your emotions and get over this traumatic event. Before making any rash decisions, you need to consider what you want to get out of your ﻿divorce. While this may be highly unpleasant, you should set your objectives before you embark on this legal endeavour. While the apparent goal is obviously separating from your spouse, there are a few other aspects you should think about, such as child arrangements orders, and claims to properties and other belongings. You should also know that there is never a winner when it comes to divorce. It is a complex legal process that will have life-altering effects on both you and your spouse. Moreover, you are highly unlikely to get absolutely everything you want, so make sure you prioritise your goals. You should be ready to make a few concessions as well, especially if you want to expedite the process. No matter how you intend to proceed with your divorce, the first thing you need to do is seek professional legal advice. You must find a lawyer who specialises in Family Law and Divorce to help you organise a solid plan for the upcoming progression. I recommend you do this as early as possible because your solicitor can explain the options you have available in terms of legal proceedings. A professional can also assist you in developing a divorce strategy that can help you achieve the objectives you have set. This is the most complicated legal process you can choose for your divorce. It is both costly and traumatising for you and your spouse, so resort to this only if you have no other alternative. 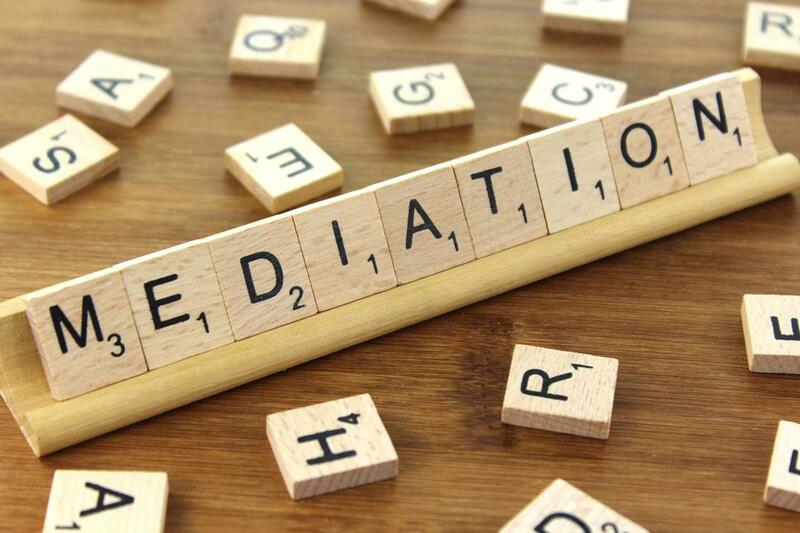 If there is even a slight chance of a successful communication with your partner, then you should probably try mediation or collaborative divorce before you take matters to court. With this option too, the final decisions about your life will be taken by a judge. This means that no matter how strong your case is, there is a possibility that things will not go the way you expect them to. My advice is to avoid going to court unless absolutely necessary. ​This is the usual way solicitors are involved in the divorce process– we negotiate the divorce for you, doing our upmost to protect your position and make sure you are well looked after, without needing to face your former partner in meetings. Asking a solicitor to do all the work for you is an expensive way forward though. While I am happy to undertake all of the work on a client’s behalf, I would not be doing my job properly if I didn’t advise that the process of going back and forth with no contact between the clients can make this a lengthy process. Therefore, if you and your ex-partner can find a way to communicate effectively, it will help to reduce the timescale of the process and reduce some of the costs for both of you. This is one of the least aggressive legal processes you can opt for, which makes it a viable option if you think you can communicate efficiently with your former spouse. Together with your solicitor, you will have to draft an agreement that features what you expect to get from the divorce. This includes everything from claims to individually-owned properties and items, as well as joint belongings, and child custody claims. It is crucial that this document is written by a solicitor as it must feature the proper terminology. Then, the agreement is assessed by your partner together with his or her solicitor, and you will receive a second version of the document that features their decision about the claims you have set. You will then review the new agreement with your representative to decide if you are satisfied with the terms. You should be prepared to make several drafts of the divorce agreement until you can get the final version that represents your wishes, as well as your partner’s. Finally, you and your spouse will sign the contract, and you will divide the matrimonial assets accordingly. Any such agreement should then be embodied in a Financial Consent Order to be sealed by a judge. This is yet another viable option you should consider if you and your spouse are willing to work things out outside of court. Each of you will have legal representation, and you will participate in negotiating sessions. These will be supervised by a team of specialists, including accountants and mental health professionals, who can help with the decision-making process. It features face-to-face meetings, as well as telephone calls and e-mails with the aim of identifying the final terms of the divorce that can represent the wishes of both partners. 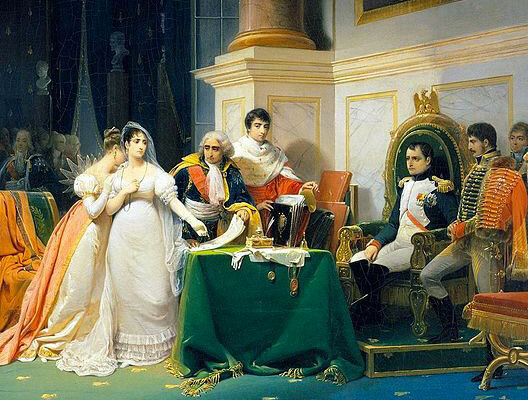 When the negotiations are complete, the solicitors will finalise the divorce. Before you begin the official proceedings for divorce, you should make a comprehensive inventory of your belongings. This could prove useful during the divorce process, especially if you are dealing with a hostile spouse. I recommend you make a list of the items you own separately and one for those that are jointly owned by you and your spouse. You should also gather the required documentation for these items, such as copies of the property documents and photographs displaying them in your home. Aside from the items themselves, you should also include the day’s newspaper in your photographs to establishan indisputable timeline. It may also prove useful to determine the value of your belongings, so make sure you get a professional assessment of your valuable items. All in all, there is no easy way to get through a divorce, but being properly prepared for the legal process will help you get as much as possible from it. Confide in your solicitor so that you can find the ideal legal techniques that will enable you to reach your objectives. A professional can guide you through every step of the process so that you can put an end to this part of your life in a swift and relatively trouble-free manner. If you ever find yourself in the unfortunate position of needing to start divorce proceedings, please don't hesitate to contact us. Your first half-hour consultation is free and we'll do everything we can help you through what can be a difficult process. This entry was posted in Family Law and tagged divorce by Jon Gilbert. Bookmark the permalink.